YouTube has announced it has started trialling a new live-streaming platform, which integrates live content into its channels. Over the next couple of days the site will allow anyone to stream content over the site – with the only tools you need being a webcam, a camera and a keyboard cat (probably). Joshua Siegel from YouTube explained the trials of the site's blog, saying: "Included in the test is a Live Comments module which lets you engage with the broadcaster and the broader YouTube community. "For the purpose of the trial, this offering will only be available today and tomorrow. Based on the results of this initial test, we'll evaluate rolling out the platform more broadly to our partners worldwide." 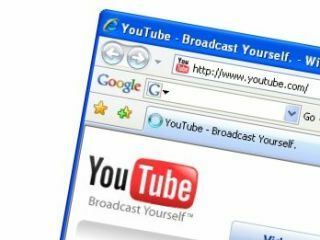 YouTube has used live streaming a number of times on the site, but it has been restricted to professional content, like a U2 concert and the Indian Premier League. If the live streaming is a success, then it could open up the possibilities of live news coverage and more straight from vloggers' bedrooms worldwide.